Based on a research report by KPMGlast year, Alibaba has surpassed Facebook, Amazon, Google and other US tech firmsand become the world’s most impactful tech company. Among the 800 US corporateexecutives surveyed, Alibaba is the one that these executives were the mostconcerned of possibly destroying their companies in the future. From their perspectives, Alibaba’s ability tobring about fundamental changes is simply demonstrated by: the courage toinnovate and attempt. E-commerce, mobile payments, social networking,cloud computing, great entertainment, AI, etc., were all among Alibaba’scountless investment attempts. As an Internet technology company with a marketvalue of nearly USD 500 billion, Alibaba is undoubtedly one of the mostsuccessful companies in the world in the past two decades. However, Alibaba hasalso gone through trial and error on the road to success. Softwareinterconnection platform, TTPOD, TaoJapan.com, Laiwang, cloud blogs and soforth, are all the products that Alibaba tried promoting but failed. Jack Ma mentioned that since thefounding of Alibaba, the company has experienced more than 1900 times offailures before achieving the accomplishments today. All failures are the bestnutrition, and how you view and rise from failures is the key. Don’t be afraid of failure; be afraid of nolesson learned from failures. If you wish to win, you should come up with away. Zhe Wei: Alibaba will grow from a teamof a few thousand to tens of thousands, so I can contribute my experience ofexpanding from thousands to tens of thousands. Jack Ma: You must never contribute your experience but lessons.If you could lead our team to avoid making the same mistakes previously madefrom expanding from thousands to tens of thousands, even if we make somemistakes on innovation, we will succeed.  In this issue of “iAsk·Top Leaders”,Gloria Ai interviewed Song Liu, Vice President of Alibaba, learning from thefailure and success of the company. Gloria Ai: I remember that Mr. Jack Ma had a very humorous comment, i.e. “disorderly vibrant”. In your opinion, among the trials and changes Alibaba has gone through, which ones worked out well and which ones did not? Song Liu: In fact, many things did not work out well, including one of our most successful products recently, called “Ding Talk”, which is evolved from “Laiwang” that was a failure. I think the biggest strength in a company lies in innovation and resilience. The most important thing about a company is not whether it makes mistakes frequently, but whether it can succeed in the same field next time after making a mistake. This is a very crucial ability. It depends on whether the system enables you to gain all the lessons after making one mistake and rise from the failure next time. So Alibaba actually has made more mistakes than others. Gloria Ai: Correct mistakes afterwards and materialize innovations. What’s the nature of such a powerful system? Song Liu: There’re three elements in essence in my opinion. Firstly, consistent platform thinking. It means that when we try to build a product or solve an issue, we need to solve it from the macro perspective. Secondly, ecosystem mentality. You need to think about who can work with you to solve the issue and what the boundaries are to assign responsibilities under such a major issue. You need to make plans. Thirdly, organizational capability. The reason why an organization would make mistakes once and rise up next time is closely related to the organizational capability. Gloria Ai: During the process of continuous development, trial and error, has Alibaba ever deviated from its initial motivation? Song Liu: Since the founding of Alibaba in 1999, Jack Ma’s initial motivation has not changed. There is no difficult business. He always believes that the Internet can compensate the need for matching commercial goods and services, as well as digitalization that rely on the Internet, which China lacked in the past economic era. He puts faith in credibility, too. Back in 2005, he envisioned that there should be a credibility system in China based on the Internet and data, which led to the emergence of Alipay and Sesame Credit. So I think he actually believed in the network effect in the past ten years. He viewed the network as the Canton Fair that never closes. Since last year, “AIoT” has appeared more frequently in our life. In the industry’s view, with the introduction of the AI technology, IoT terminal equipment will be upgraded to various AIoT smart devices, and our life will move from “Everything Connected” to “Everything Smart”. As for the change of technological format, Song Liu summarized the new technical normality of the future as “AIoT as a Service”. With the medium of data, AioT can serve all walks of life as a fundamental service; future innovation entities will either develop such service or utilize this to serve vertical markets. Alibaba betting on the futureof AIoT? Gloria Ai: In Alibaba’s business blueprint, I noticed a key word “AIoT”. We know IoT stands for Internet of Things, but if we combine it with AI, does that mean Alibaba believes that AIoT will lead the trend in the future? Song Liu: I think from a micro perspective, these two are the most critical technologies. Especially when an Internet company’s existing business is formed as an online closed loop, with data of hundreds of millions of consumers, we can analyze and predict their behaviors through cloud computing and serve them through an app-like medium. However, imagine if you visit a factory, a city, a village, or even an offshore drilling rig, how would you know the flow of oil underneath, how many cars pass by traffic lights at a certain moment in a city, or the extent of chemical reactions in a factory? IoT is a collector neural system that extracts data and uploads it in the physical world. AI combined with data generates a process of productive knowledge. By 2018, the technology-oriented professionals in the industry had begun to combine AI and IoT into AIoT, because these two are like a generation of twins to solve physical problems. Gloria Ai: What kind of businessplan will Alibaba make for the future of AIoT? Song Liu: Since 2014, we haverecruited hundreds of scientists from overseas specialized in AI, or IoT andits related circuit development. The number of scientists working for us is thehighest domestically. If you search DAMO Academy online, you can see renownedprofessors on the list. The most recent businessplan is that we released the AI chips and IoT chips at the Computing Conference.The chips will be used in future cities, home appliances, intelligent connectedvehicles and so on. In the past two to three years, we have established R&Dsystems and teams for AI and IoT respectively. AI can’t just be applied inlabs. You need to utilize the new technologies developed by scientists inagriculture, industries and cities. This is the biggest advantage Chinapossesses, where data scientists and AI scientists back from America have allwitnessed the huge real-world demand in China. From the perspective of thetechnology, the more room it has, the more exciting it gets. Althougheveryone has doubts over whether Alibaba will still be the most successfulInternet technology company in the next decade, the lessons of “success andfailure” that Alibaba has shared with us are invaluable. iAsk, just for you.